CrN is proud to present our latest release, Earth’s Core, written by none other than Lonahora. If you’re into Fantasy, Adventure and Cultivation, this is the story for you! Did I also tell you there’s a whole TEN debut chapters out too? So don’t hesitate to read today! As always, please give a warm welcome to the latest member to the team and we hope you enjoy the story and Interview! CrN’s George Bakerson interviews Lonahora, the latest addition to the growning number of original authors. Q: After the bizarre nature of the last couple of interviews, we resume service with the standard procedure. 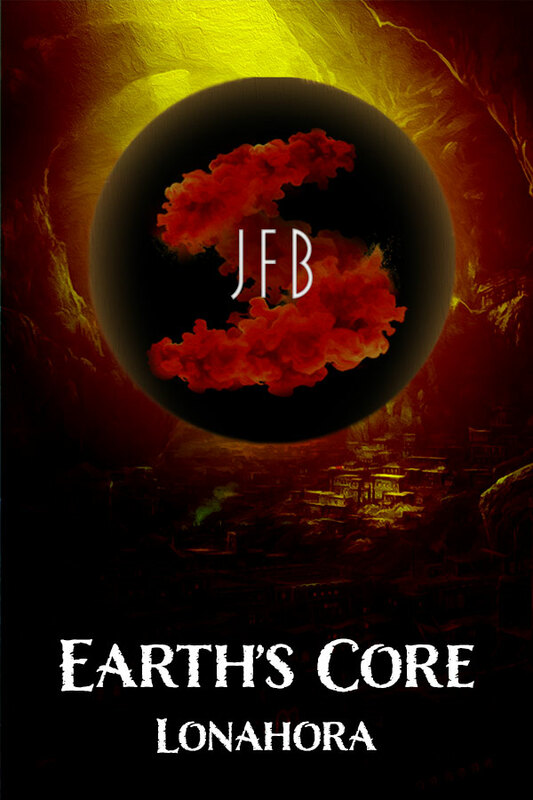 This time we are joined by Lonahora, author of a long-running series called “Earth’s Core”. Welcome Lonahora, please introduce yourself to the audience. A: Hello everyone, I’m Lonahroa. I’m a computer technician, working for my city’s schools. I write Earth’s Core out of the pleasure of creating and improving my English. Good or bad I appreciate criticism and if there is something in particular that you want to discuss feel free to PM me. Q: Ah, a computer technician, eh? That adds to the variety of professions the Creative Novels authors have. How is your work? What do you do in particular? A: I mostly assist teachers and students in a computerized environment, whether it means dealing with hardware or software problems. My day can start with me arriving at a certain school with a list of its problems. If I can fix them on the spot that’s what I do, otherwise, request someone from the lab to come with parts or just pick up the device that is not working and can’t be fixed with the tools on me. It’s not a complicated job if you wonder. Q: I see. Well, we’re here because you’re releasing your web novel with us. I know you’ve been posting it on your site beforehand, so what made you decide to branch out to us too? A: Well, first because I figured “Why not?”. Second, because after I checked out your site I really liked how professional it looks and thought it would be nice to be part of it. Q: Great! And now we get onto the actual novel. What is Earth’s Core about? A: The official synopsis is posted above the Q & A, I reckon. My initial description of it was a story about humans and beasts of our age that are forced to live underground to avoid a catastrophe that will change the surface of the planet. Down, in the network of caves and tunnels that they find they discover a sort of spherical brown pearl, an Earth’s Core. By learning about Earth’s Cores and how to use them, both humans and beasts take their first stride on the perilous road of cultivation. Q: You’ve already have over two-hundred(!) chapters done. How difficult must it have been to write so much? A: It’s not the amount that is hard to provide, but the frequency of good quality releases. Regrettably, these are the limitations of the medium in which we publish. From all of the light novels I’ve read, extremely few people can maintain both fast release and a quality story and although I’m not one of them, I always aspire to be. A: Hahaha, you think too highly of me. I’m still too green to develop anything beyond a good relationship with Google Translate. A: Don’t be deterred by the competition. I’m sure anyone who writes hope to make it their main income and from my experience all it takes is quality, frequency and consistency. Q: Excellent. We’re almost at the end of the interview, so I’ll ask my favourite question. What’s the origin of your pen name? Why “Lonahora”? A: In a story that I hope to publish someday, the first story I’ve written, Lonahora is the name of the world where the impossible is possible. Trying to do just that, I decided to adopt it as my pen name. I probably have…Anyway, that’s it for the interview! Thank you for joining me and I hope your novel is a huge success!